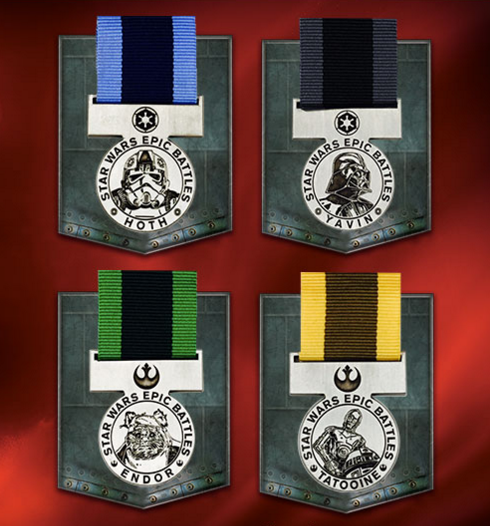 FREE Star Wars Epic Battles Medals At ToysRUs! You are here: Home / FREEbies / FREE Star Wars Epic Battles Medals At ToysRUs! Don’t Forget! Saturday, 01/30, is the last day for kids to receive their FREE Star Wars Hoth, Yavine, Endor and Tatooine Medals at ToysRUs! They can play any or all of the online games found online here, print the certificate(s), then head into the store anytime through 01/30 for their medals!